Today CBD can be found in a rapidly increasing number of places. Despite the wide number of products available on the market labeled with these three letters, the contents and quality can vary wildly. Some products contain low-quality hemp extracts, others might contain sugar and artificial ingredients, and some are marketed on hype alone. 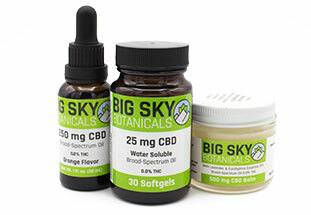 Here at Big Sky Botanicals offering only the absolute highest quality of hemp-derived CBD is and will always be our number one priority. For this reason, we've partnered with the best in the hemp industry to offer you only the best phytocannabinoid-rich products available. Our products come from a Good Manufacturing Practice (GMP) certified facility located in Colorado, USA. This facility is fully licensed and registered with the Colorado Department of Agriculture. They lead the way in hemp production using safe, unique, and effective processes to create the pharmaceutical grade hemp extracts that end up in our products. We believe that transparency is key when operating in the CBD space. For this reason, below we've outlined the process behind the creation of our product line from seed to end product with images showing our processing facilities and hemp source material. It all begins with a phytocannabinoid and terpene rich hemp strain that was derived from the marijuana strain AC/DC. 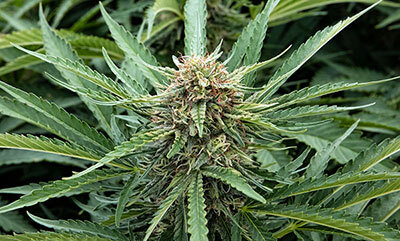 The resulting low-THC hemp strain was designed specifically for producing CBD-rich extracts. This strain is organically grown in nutrient-rich Colorado soil without the use of pesticides. Note that these levels are at the raw plant material stage and differ from the end product. After harvest, the hemp undergoes a proprietary extraction process that preserves the majority of the beneficial hemp derived cannabinoids and terpenes while eliminating unwanted compounds. This extraction process utilizes either supercritical CO2 or ethanol extraction methods to produce an extract rich in terpenes, CBD, and other minor cannabinoids. After initial extraction, the resulting extract then undergoes a process called winterization and solvent removal using vacuum distillation to remove the chlorophyll, waxes, and other unwanted materials from the final product. Using a unique chromatography process, the extract is filtered using a unique media that selectively binds to the Delta 9-THC, the only psychoactive component in the extract. As the extract is filtered, the THC alone is stripped and discarded, while the remaining cannabinoids and terpenes remain intact. The absence of detectable THC is confirmed through High-Performance Liquid Chromatography (HPLC) tests. Our processing facility been certified by the CDPHE (Colorado Department of Public Health and Environment) as a producer of 0.0% THC products and has been issued Free Sale Certification which can be found on our compliance page. All the products we sell are all certified to contain measurable 0.0% THC. This can be confirmed at the batch level via our provided lab reports. Through further patent pending processing, the extracts used in some of our products are further processed into nanoemulsions. 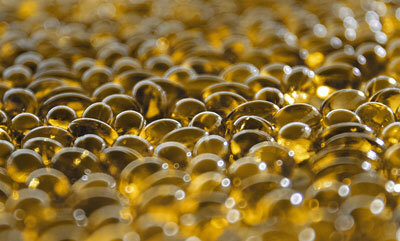 This process breaks up the hemp oil droplets and emulsifies them to keep them stable in this state. The result is a product which disperses throughout water and offers a higher bioavailability. The result is products which require lower doses thanks to higher absorption into the bloodstream due to the larger surface area. Read more about water-soluble CBD in our article on the topic. You'll find each of our products marked as oil-based or water-soluble when browsing our selection. 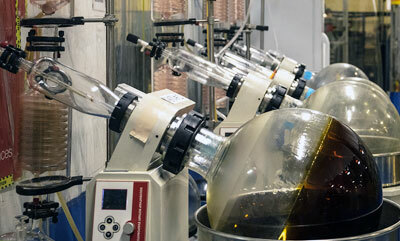 The resulting hemp extracts are then used to produce our line of THC-free, broad-spectrum products. Our product line includes water-soluble softgels, oil-based tinctures, water-soluble tinctures, and topicals. The final contents of our products are verified by batch level lab reports that include cannabinoid and terpene potency reports and contamination-free confirmations. These certificates of analysis can be found in our lab reports section or on each product page.